Phillipa (Phee) Hudson was born in Rhodesia (now Zimbabwe), and obtained an arts degree at the University of Cape Town before working in London and Cambridge in England. She moved to Canada in the late 1970’s and to Vancouver Island in 1981 where she lives in the Deep Cove area with her husband. He studio is a boathouse overhanging the sea. Phillipa has always been an active mountaineer, back county skier and sea kayaker, so it is not surprising that her choice of subject has focused more and more on the spectacular alpine country of the Coast Mountains and the fiords and inlets of BC’s crenelated coastline. In those places, the seasons are intense, the light magical, and the challenge to a painter considerable. Phillipa founded and owned Mineral World/Scratch Patch in Sidney, Vancouver Island until 2006. Since selling her business she has been painting, first in watercolour and now in acrylic. In 2012 she was awarded Associate member status in the Federation of Canadian Artists. 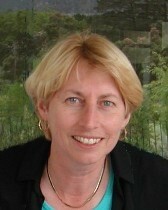 She has won numerous awards for her work, both on Vancouver Island and the lower Mainland. 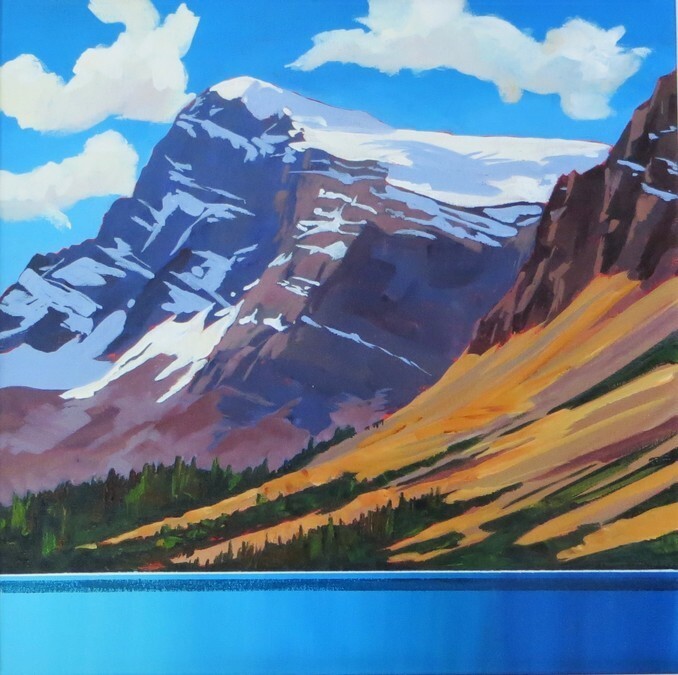 In 2013 she was commissioned to paint three 6’ X 8’ mountain landscapes for the lobby of the Fairmont Chateau Lake Louise. 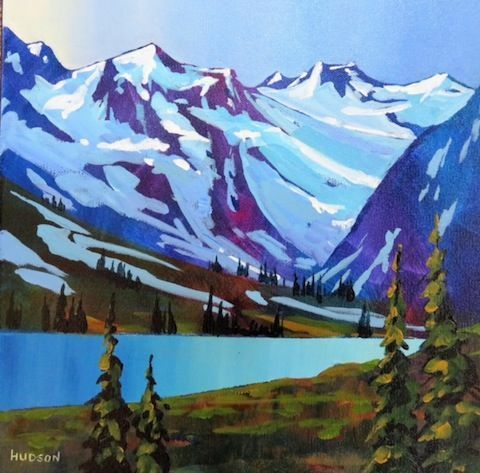 She is represented by Mountain Galleries in Whistler, Jasper and Banff. 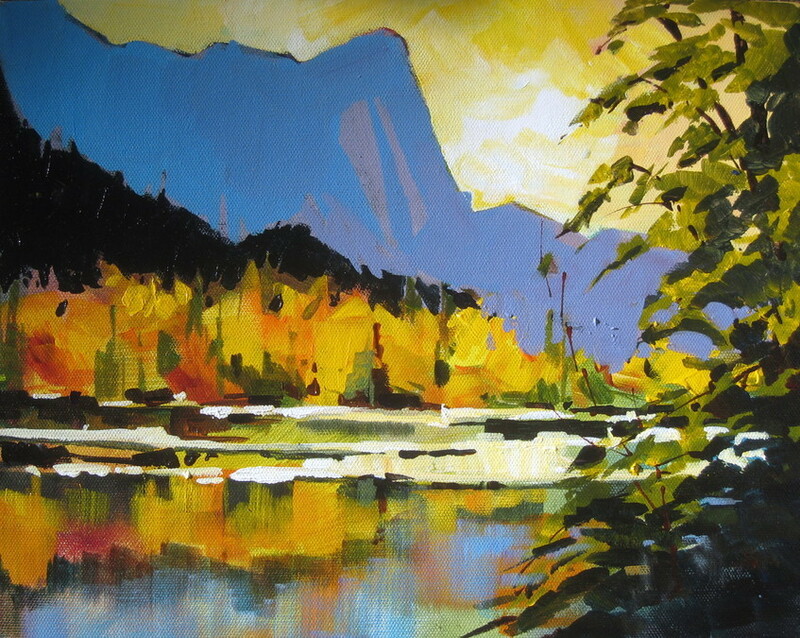 Her bold colours and wild scenery have always been popular with discerning collectors who admire her unique style. Her paintings hang in executive offices and select homes across North America, Europe and Africa. If a workshop is overbooked at the time of your application your registration cheque will be deposited and your name will be placed on the wait-list. Your cheques will be refunded if a place in the class is not available. You will not be registered until both cheques have been received; upon receipt of your cheques you will be sent confirmation of registration by email. The cheque for the balance will become non-refundable if you cancel your participation during the month preceding the workshop and another participant cannot be found to fill your place in the class. Please place the name of the workshop on the front of your cheque and ensure your contact information is available for refund purposes. If you wish to use e-transfer to pay either the registration fee and/or the balance of the workshop fee, you must first contact spacworkshops@gmail.com to register, receive confirmation that you are registered or wait-listed, and to receive a password.